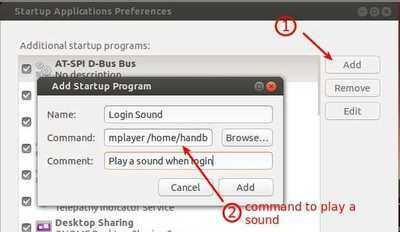 This tutorial shows how to enable or customize your login sound on Ubuntu 13.04 Raring Ringtail. This can be done by adding a startup application. 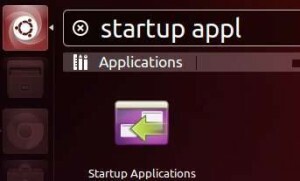 Play a sound / music when login on Ubuntu 13.04 Raring. To get started, open ‘Startup Applications’ utility from Unity dash search results. In next window, click ‘Add’ button to add a program to start at login. Then give a name, comment, and command to play the sound file. To play the classic gnome login sound, use below in command area. Change the value of “–volume” to turn up / down. could not get ubuntu login sound to play on startup. tried your method ending volume 10. works a treat. many thanks. Les Johnston.. I got this to work on Ubuntu 14.10. Now, I have a question: is it possible to make a custom logout/shutdown sound? Does this protocol work on Ubuntu 16.04? I followed the instructions, and haven’t gotten it to work quite yet. Also, is there a max length for start up sounds?